I was replacing some of my old worn out ice cube trays and one of the ones I got as a replacement was this Superb Cube 2 Inch Cube Silicone Ice Cube Tray with EZ-Release & No-Spill Steel Reinforced Rim. I am really loving the giant 2 inch ice cubes this makes. 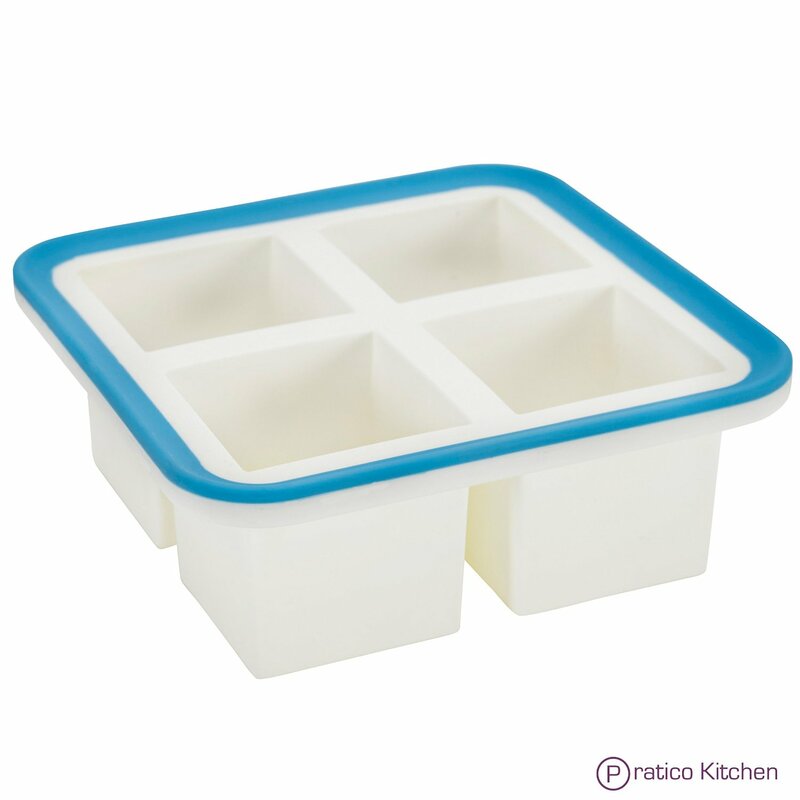 These silicone ice cube trays are easy to fill, and easy to remove the cubes once frozen. The reinforced rim means that these ice cube trays remain stable while filling or removing from the freezer, and keeps me from spilling water while filling or transporting them. Because the cubes are so big you they won't fit in just any glass, but they will fit in most of my glasses, as well as fitting in pitchers or punchbowls, and will keep your drinks colder for longer. These are a great size for many things, and I am happy to recommend this product to anyone who has a need for giant ice cubes.